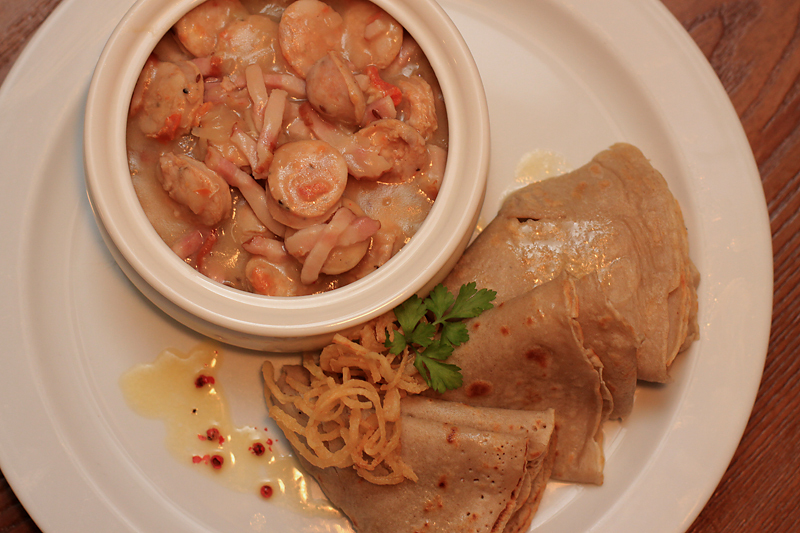 What do you know about Belarusian cuisine? You might have heard that we eat a lot of dishes from potato, including our famous dranikis (potato pancakes). Well, it is true, but we have much more different dishes here! In this post, we share with you some interesting recipes: some of them are very old and can be supported with historical facts, while others represent local culinary traditions and have been given to us by the owners of the eco-lodges. So it is time to cook like a Belarusian! Boil the beets until they are ready, and hard-boil eggs. Peel the boiled beets and eggs, as well as a fresh cucumber. Separate whites from yolks. Grate the beets, cucumbers and egg whites. Finely crop scallions, dill and parsley. Place the greens and egg yolks in a bowl, sprinkle with salt and finely grind it with a pestle. All mix the ingredients in a large pan. Add sour cream, vinegar, salt and sugar, stir well. Slowly add water (don’t be afraid hesitate to add some more). Add more salt and vinegar if necessary. Here is what Ales Bely, a culinary tour guide and author of The Belarusian Cookbook, writes about Khaladnik: “Khaladnik (‘cool soup’) is the name used for any refreshing cold soup, but these are most commonly made from sorrel, baby beets and young beet stems. Cool, tart and refreshing, this soup makes for an ideal first course on a hot summer day. Centuries ago, when in spring the new harvest was still months away, young stems of wild edible plants, usually sour, helped poor peasants to survive in summer. Sorrel, nettle, and goose-foot were especially popular. These were eaten raw, in salads, or pickled; soups were made from fresh and pickled greens. These soups, perhaps somewhat “barbaric,” were widespread in Belarus and Lithuania. The more westernized Poles, coming from the most powerful nation of the Commonwealth, were ashamed of this, however, and, for a long time mocked their Eastern neighbors for their love of these soups. 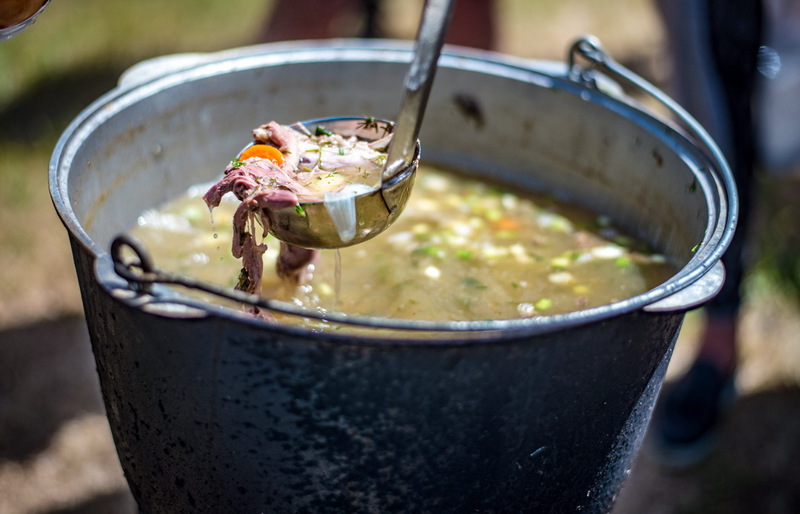 Gradually, simple peasant dishes appeared in the menus of the nobility and moved westwards, so today sorrel soup, batsvinnye, or khaladnik are also considered a part of traditional Polish cuisine”. Cut pork into small pieces and pan fry it. Then fry onions and carrots. Mix it all in a pot, add salt, bay leaf, black pepper, pour water over it and put it on the coals into a Russian stove. Let it stew for 40 minutes, then take the pot from the stove, pour cold water mixed with wheat or rye flour (a glass of water and 2 tablespoons of flour). Add water and flour at the same time, slowly stirring, then put the pot back on the coals for 5 minutes (you need to stir it from time to time). The first component of the Vieraščaka is ready. Mix flour, eggs and kefir until it has the consistency of liquid cream, add one finely chopped onion, a teaspoon of grated cumin, salt. Oil the pan and fry pancakes. Ales Bely writes about Vieraščaka: “According to a tale, there was a chef called Wereszczaka (or Vieraščaka in Belarusian) at the court of Polish king August III, who invented a new way of cooking sausage: boiling it in beer diluted with water and serving it with spicy gravy. With time, people started to use the name Vieraščaka for other similar meat-and-gravy dishes that frequently were used as a dip for flour or potato pancakes. The popularity of vieraščaka was probably also boosted by the fact that the name of the beloved of the greatest Polish poet Adam Mickiewicz was Maryla Wereszczaka (in the 19th century, both lived in Western Belarus). Belarusian word for dip is ‘machanka’, and in modern Belarusian the words ‘vieraščaka’ and ‘machanka’ are interchangeable. 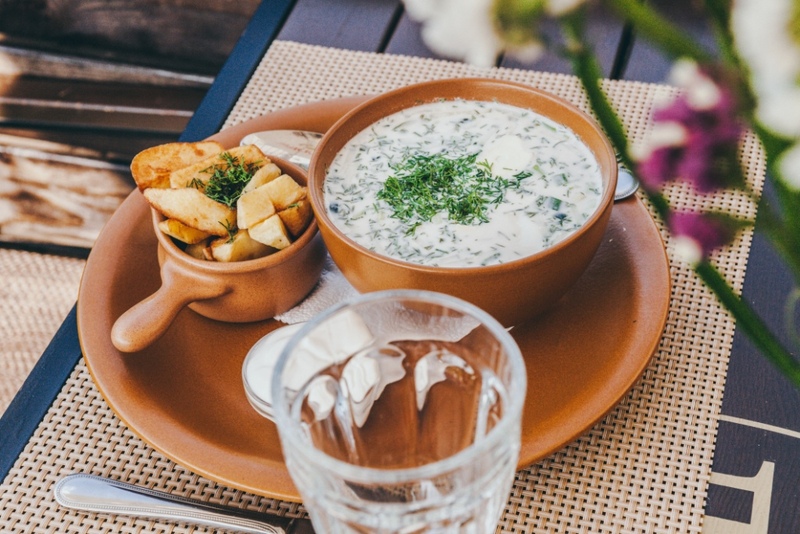 This is not technically correct, however, since there are (and were) many other dips in Belarusian cuisine – but none of them compare vieraščaka”. Shurpa Nalibokskaya is cooked on an open fire. Take a pan, put in chopped meat and meat with ribs (moose, reindeer, deer, etc. ), add water, cook until it boils. Add roughly chopped carrots and potatoes. When the meat starts to come off the bones easily, add onion, garlic, salt, pepper and bay leaf. Shurpa is served hot with fresh dill and parsley. Meat can be taken out and served on a separate plate. Maria Shakun, a hostess of an eco-lodge says: “People are usually surprised at the name of the meal, because it does not sound like Belarusian. However, this is the way the hunters of Nalibokskaya Pushcha (a nature reserve in Minsk region) called it. This is the hunters’ dish, which they cooked when they were away from home, hunting in Puscha. It was nourishing and simple, and could be prepared in a pot on an open fire. The hunters only used the ribs of the beast, not the fillet, adding any vegetables and spices they could get their hands on. The main idea of this shurpa is to be simple, unpretentious and very nourishing. This dish was prepared by Vasil’s father (Vasil is Maria’s husband), as well as his grandfather. 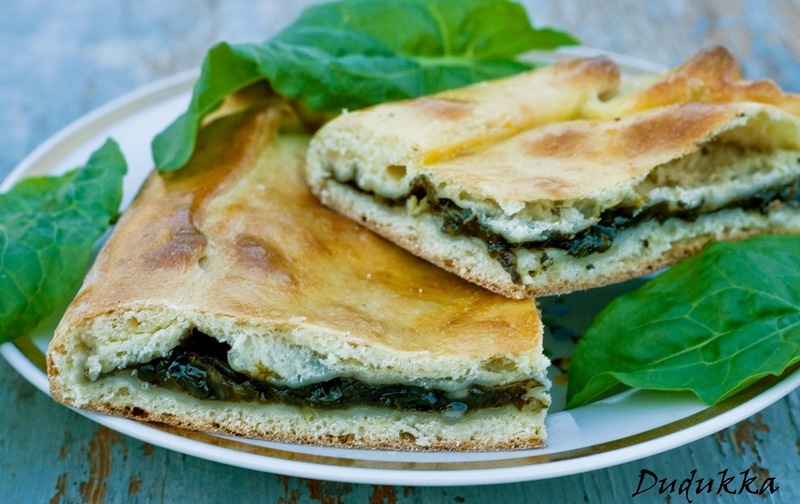 Shurpa, as far as I know, exists only in Nalibokskaya Pushcha in Belarus, it’s our local dish”. Rul’ka is cooked in a Russian stove in a four- or five-liter kettle. 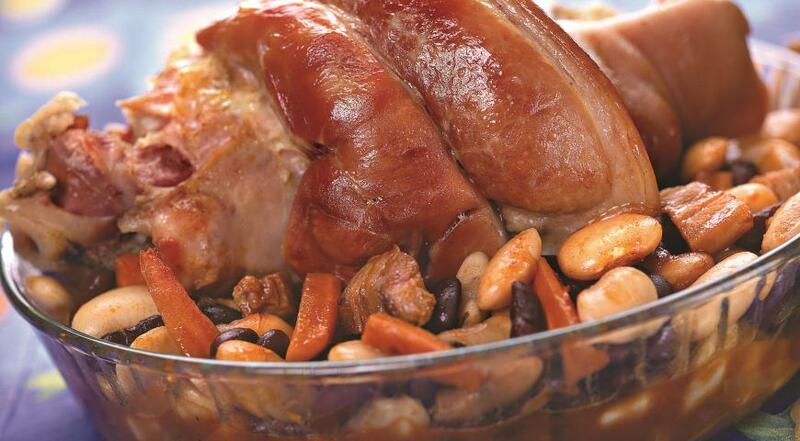 Put in pork or beef shank, pearl barley, beans, garlic and carrot cubes. Pour salt water (1.5 L). Cook in a hot stove until the ingredients become soft . At the end, add seasonings to your taste. Rul’ka Nalibokskaya is served on on a large plate. “The recipe was passed to me from my husband’s mother. As soon as I moved here after our marriage, she started to teach me the local cuisine. This foreshank is also a local dish, like shurpa. This was not an everyday meal, it was prepared on weekends or holidays,” – says Maria Shakun. Add yeast diluted in warm milk in the flour, mix until it would have a creamy condition. Leave the dough for a while, let it grow a bit. Then, melt margarine in milk that remained, and pour it into the dough, adding salt, sugar, vanillin, raisins and knead the dough. Do not add the flour; that dough would not stick to your hands, lubricate them with oil. The dough should be warm, not too steep, then the cakes are lush. Put the dough in a warm place and let it grow. Knead dough after it grows, divide it into two equal parts and roll out the size of the pan. Grease the pot with baking oil, put a layer of dough, making a small ledge so the filling does not leak. For the filling wash and dry sorrel, slightly sprinkle with sugar, add a bunch of chopped mint and squeeze it with your hands to let a little sorrel juice. Put the filling on the dough, cover with the second dough layer and close the ledges. The topsheet grease with yolk, sugar and pierce it with a fork in several places. Bake in the oven until a golden crust. “There are no guests in our eco-lodge who wouldn’t try our pie! I learnt this recipe from my grandmother Stesha, a tasty pie with sorrel and mint. The dough at the pie is so flavorous, and does not crumble, sorrel with mint give such an unusual taste. Of course, the sorrel has to be fresh, but if the season has already passed or has not started yet, you can add any other fillings to the dough. My grandmother learnt this recipe from her husband, who worked in a Polish bakery (at that time this part of Belarus was part of the Polish kingdom). I was 14 when I first baked this cake. And today I’m teaching my children and grandchildren! “Says Alla Polikarpuk, the hostess of the eco-lodge”Na Zarechnoy Ulitse”. 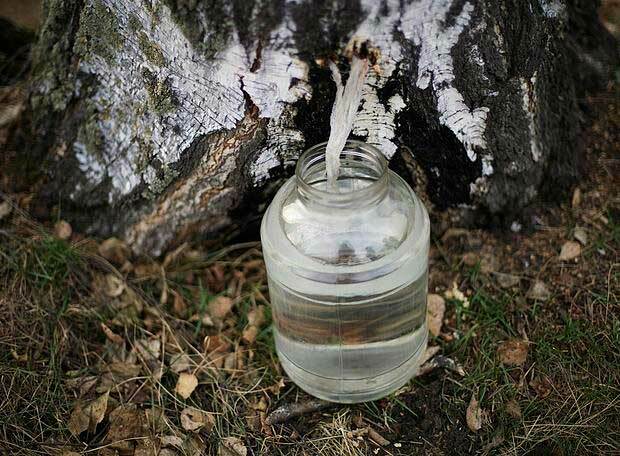 Strain fresh birch juice from the tree, bring it to a boil (but do not let it boil! ), then pour it into a 3-liter sterilized jar. Add sugar into each jar, as well as slices of lemon and orange (peeled).cover the jar with a lid. We usually drink it cold. Bring water to boil and add spices: cardamom, anisetree, cinnamon, cloves, etc. If you like, also add ginger (cut into small cubes). Cook for 1-2 minutes. Then take the brew off the heat. Mix together fragrant herbs (mint, melissa, oregano, etc .., about 1 cup of dry grass) in another pan and pour the water infused with spices over. Cover it and leave for about 30 minutes. Add honey. The resulting brew turns out very flavorous, and perhaps a bit spicy because of ginger. It’s good to drink if you have got a cold, it is healthy and body-warming. 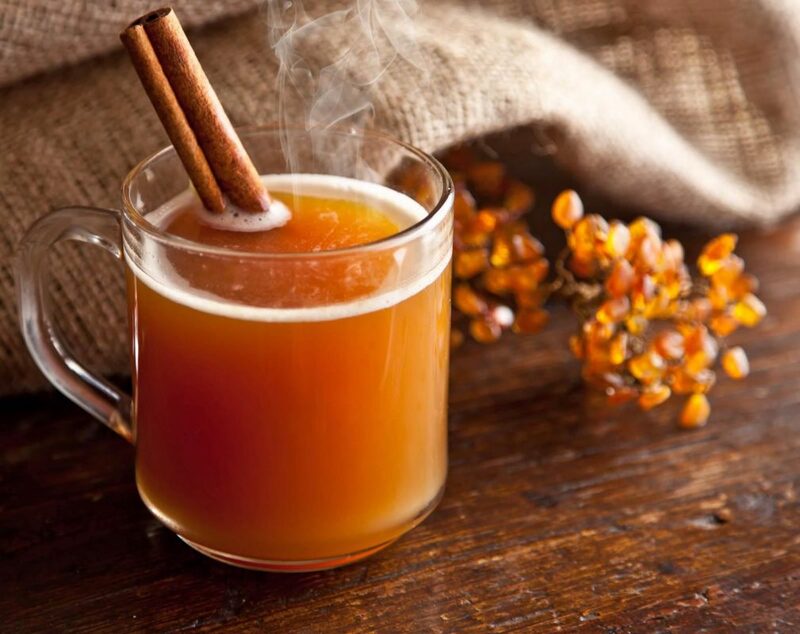 You can also add some beer (1: 1 ratio) and drink it while warm (like mulled wine). In a three-liter jar,put aromatic herbs (mint, lemon balm, thyme, strawberry leaves, raspberries, tarragon, etc. 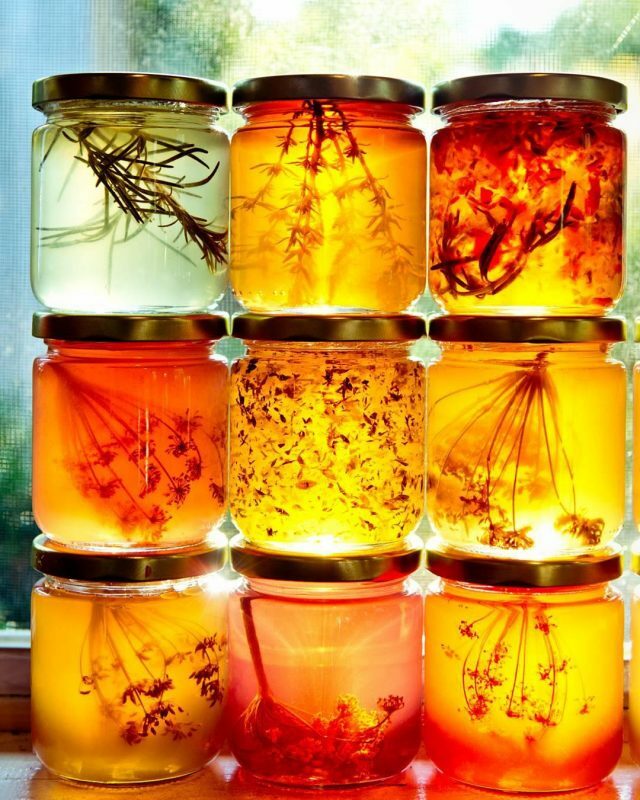 – in total 1/3 of a jar), fill with water and add 150g honey. Tie it with gauze and leave for 3 days in the sun. After 3 days remove all herbs, filter and pure the liquid into the bottles. Add a couple of raisins. You will make a real homemade soda! Sparkling drink has to be opened carefully. Fir cones start to grow around the middle of May. Collect cones that are not longer than 2 cm. You will need about 3 liters of water and 3 kg of sugar per each kilo of cones. Mix all the ingredients. Bring the mix to a boil (do not let it boil though!). Leave it for a day or two and then repeat the process, but watch out: the liquid should not thicken! Pour into jars. 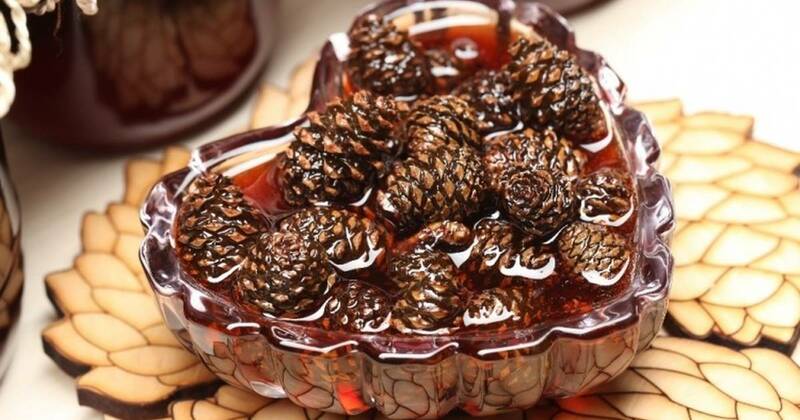 This preserve does not just taste great, it also helps to treat the common cold. At the culinary website Gastinia.by you can find more recipes of delicious Belarusian cuisine (available in Belarusian language only). And in The Belarusian Cookbook by Ales Bely, a culinary guide, you can get profound description of our cuisine highlights.